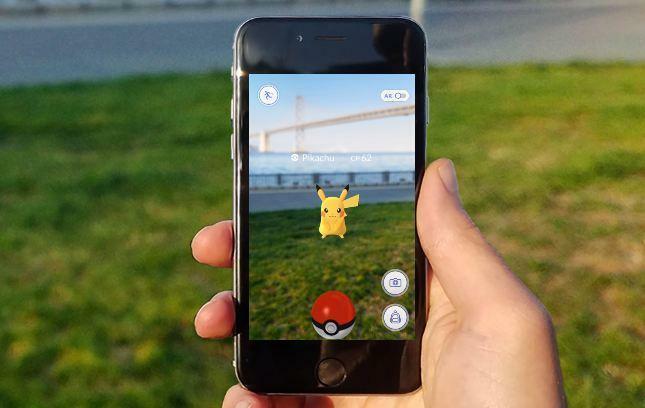 Launched on July 6th of this year, Pokémon GO promised to immerse players in a world surrounded by creatures, named Pokémon, that they could catch, collect and battle in their local areas. As an avid fan of the handheld Nintendo series, I was more than excited for this app to be launched. I was not disappointed as I traveled throughout downtown Saint Paul, MN, catching wild Eevee and Pidgey. I quickly found myself fully engaged with this new world full of Pokémon and gyms where trainers can battle and claim. I did, however, seem to become somewhat bored with the app a few weeks into the game. The same Pokémon were always in the area, people were getting “too serious” about the game and the only way to do anything good in the game was to put down real life and login to the augmented reality of Pokémon GO. Not much later in the summer came one of the first updates. This update ruined the tracking system that trainers used to find Pokémon in their area. Many users became frustrated with the app, as it ruined some sense of excitement in the game. Personally, the update did not bother me as much as the effect it had on my iPhone’s battery. Pokémon GO quickly took over the life of my battery. It’s at the point now where my iPhone doesn’t hold a charge longer than 4 hours, and yes, I blame Pokémon GO. In order to use the game, players must have the app opened and the screen on. This drains the phone’s battery in the process, creating more frustration along the way. Despite these flaws, Pokémon GO continues to bring a sense of community to players. Even at the university, students are creating Facebook groups, planning events to walk around campus to catch Pokémon and challenge gyms. I have even found myself walking to class early to leave time to catch Pokémon along the way. Overall, the game has more pros than cons. I still use it despite the upsets tied to it, but remain hopeful that the app developers with solve these problems in due time. The app provides fun, commu-nity and nostalgia to its players.